Obesity seems like a curse these days. An increasing number of people are obese. Statistics are really threatening, given the ballooning obese population. Nevertheless there are ways to get back in shape.Of course, I do not claim that you should start eating healthy cookies for weight loss. But then this will certainly make a difference. After all, what goes in comes out. Your diet has a big role to play in shaping your body, agree? You cannot ignore the role of a healthy exercise regimen simultaneously. My fitness mantra is simple - eat healthy, drink loads of water, and exercise daily. That's it! Now let's come back to your healthy dietary regimen, You must include fiber in your diet - irrespective of the fact whether you are obese, overweight, or have a normal body mass index. Fiber is necessary for everyone alike. You are no different. Try to derive most fiber from the food you eat. 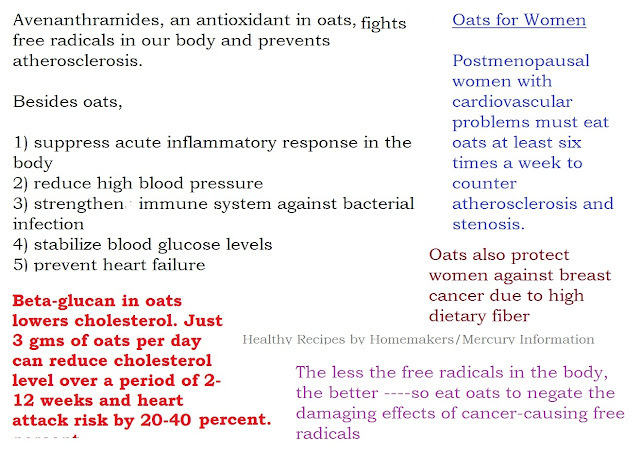 Eat dietary fiber-rich products. This includes bakes and cookies. Bakery and processed foods must be avoided, but since you are human, you may crave for something special sometimes. This oat digestive biscuits recipe can come in handy - trust me you can enjoy it guilt free as part of your regular diet How? 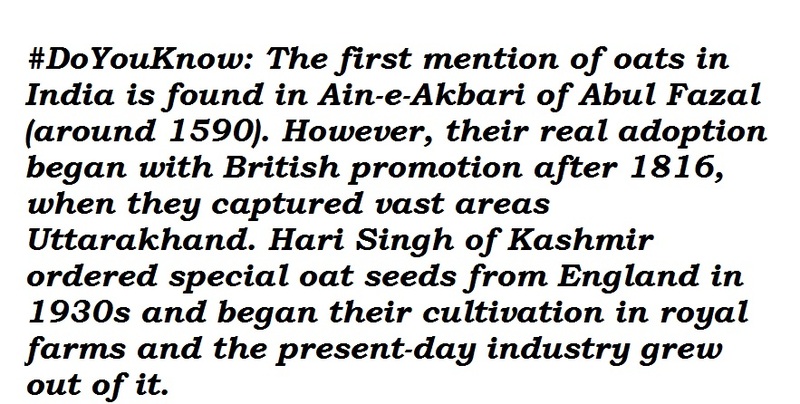 Read further to know how oat digestive cookies can come in handy. What if I say this makes a great Diwali gift for a loved one? 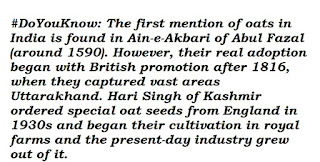 Of course, they won;t mind munching on healthy cookies! What say? It uses oatmeal as the base. It uses hung curd/Greek Yogurt. It is less sweet - with the addition of honey. It also includes whole wheat flour. 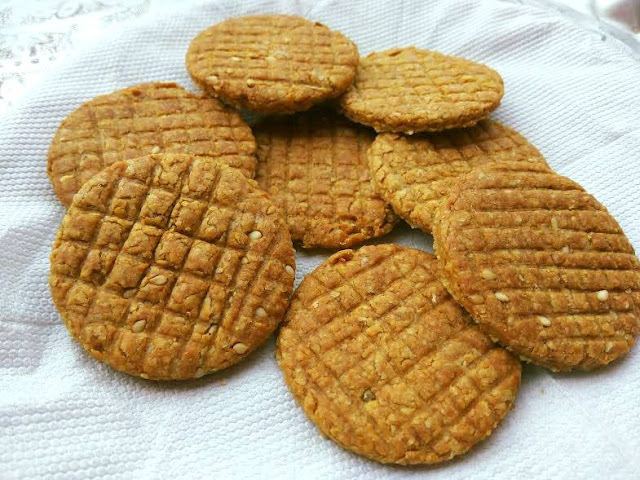 Yes, this oatmeal digestives recipe is loaded with healthy ingredients. Now you must be wondering about its taste. Well, if didn't taste good, I would never share. 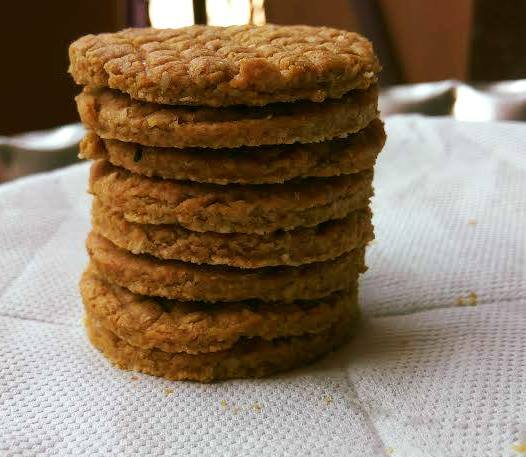 This recipe of healthy oatmeal cookies with wheat flour got hubby's approval - hubby is somebody who isn't too fond of cookies. I am glad he liked this batch of digestive cookies. I am sure you, too, will like it. This set of healthy cookies is a must-try baking option for health freaks or those of you who wish to include healthy snacks and ingredients in their regular diets. Do you love cookies - that too, cookies with oatmeal or whole wheat flour cookies? What if I say homemade whole wheat cookies? This website is a hub of healthy recipes, for I love to include healthy ingredients in my meals. You won't find an unhealthy ingredient here. That's a promise! Baking can be a rewarding experience, only if you love baked goodies. If you do not, you are almost certain to find faults in something or the other. But there are hardly any people that do not like baked goods. 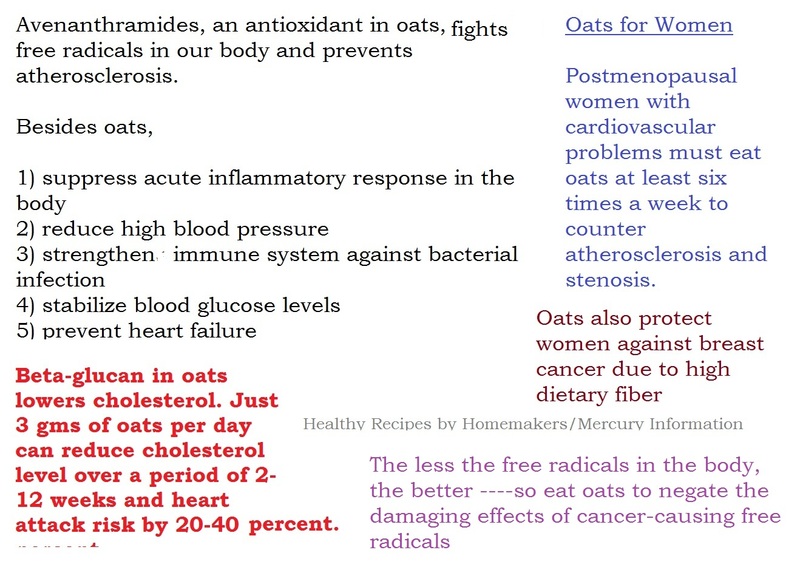 If we get to prepare healthy oatmeal cookies with wheat flour at home, nothing can beat that. These are healthy oatmeal cookie with honey recipes you can enjoy guilt free, for they use healthy ingredients. Easy to make, quick to churn, and delectable in taste, these healthy cookies are for cookie lovers who cannot wait to dunk a cookie in a cup of milk. Whole wheat flour cookies are healthy, crispy, and of course flavorful. In fact, you can bake a set of healthy cookies with whole wheat flour, without losing flavor or texture. 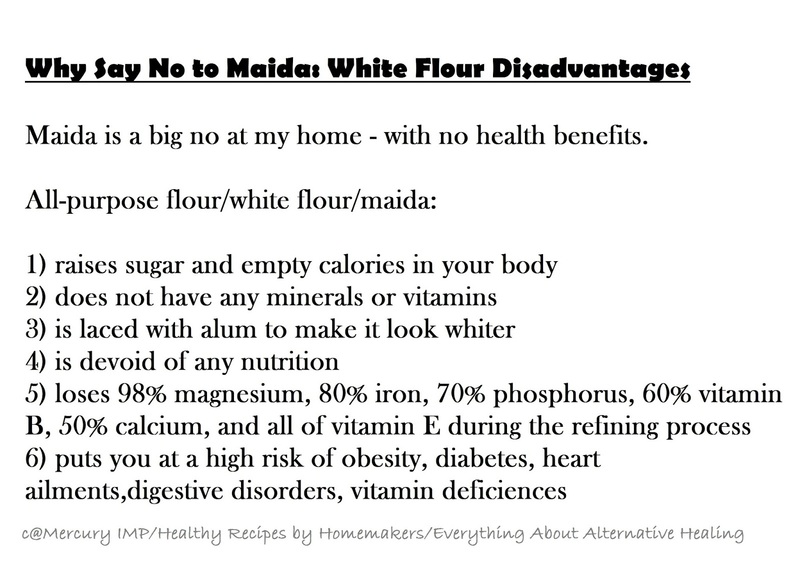 Yes, you do not need all-purpose flour/refined flour or white flour to create baking marvels. Whole wheat flour or other healthy grains can do the magic for you! Don't believe my words? 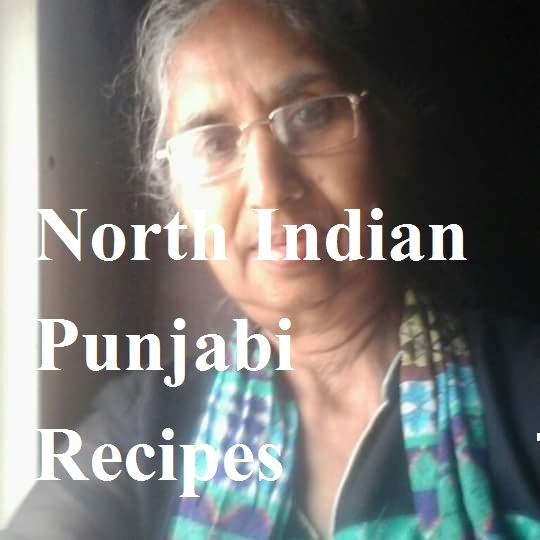 Do try this cookie recipe to find it out on your own. A cornerstone of Mediterranean diet, olive oilis loaded with health benefits, which range from skin to hair to overall health. I will do a detailed post on olive oil benefits soon. Keep watching this space for more. Who says you cannot munch on cookies on a diet? This batch of oatmeal cookies uses no butter and is loaded with fiber to help with your weight loss goals.If you are doubting the taste of these weight loss munchies, better try this batch out and find it out for yourself. 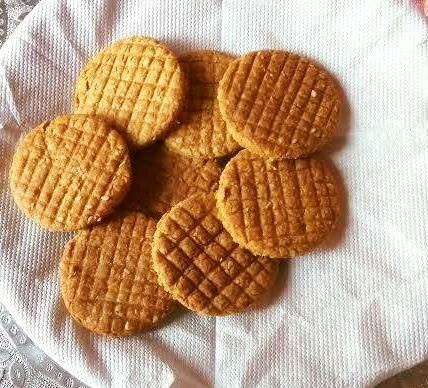 One batch of this weight loss digestives would disappear soon unless you can control your instincts! 1. Sieve both flours along with baking soda. Throw in sesame seeds and sugar powder. Mix very well. Next add olive oil or any other vegetable oil. I am including oil, but you may add cold desi ghee if you so wish. Now add hung curd and then mix honey. Are you able to collect all the ingredients into a ball? If not, add 1 tsp more of hung curd. We want a smooth ball- not too soft, nor too hard. Please do not knead like roti atta. Keep aside wrapped in a cling film/parchment paper/ aluminum foil for 30 minutes. Roll out into a chapati-like dough, but it should be little thicker than chapati. Take a small bangle and cut into round shapes. Now take a knife and make vertical and horizontal lines on each cookie. Meanwhile, preheat the oven (mw convection) for 10 mts at 180 degrees. Place cookies on a greased baking tray at an even distance from each other - should not be cluttered. There should be some gap between each cookie. Bake in a preheated oven for 14 minutes at 170 degrees. Enjoy healthy cookies with a hot cup of tea. Any takers here? You can certainly bake a fresh batch as a Diwali gift for someone special. These are the healthiest digestives you would want to bake for your family. Do give these a try. 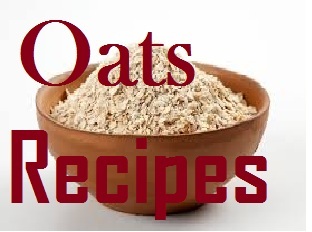 Here's a link to healthy oatmeal cookies no sugar recipe. I call this batch of cookies Mcvities digestives. The first feedback comes from a person who is no less than a mentor for many young girls. 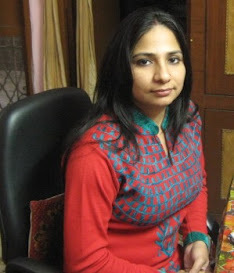 Chithra Vishwanathan or CV tried this batch of weight loss cookies and loved them. I am so happy to see CV try out my recipe, since she is a gem herself. 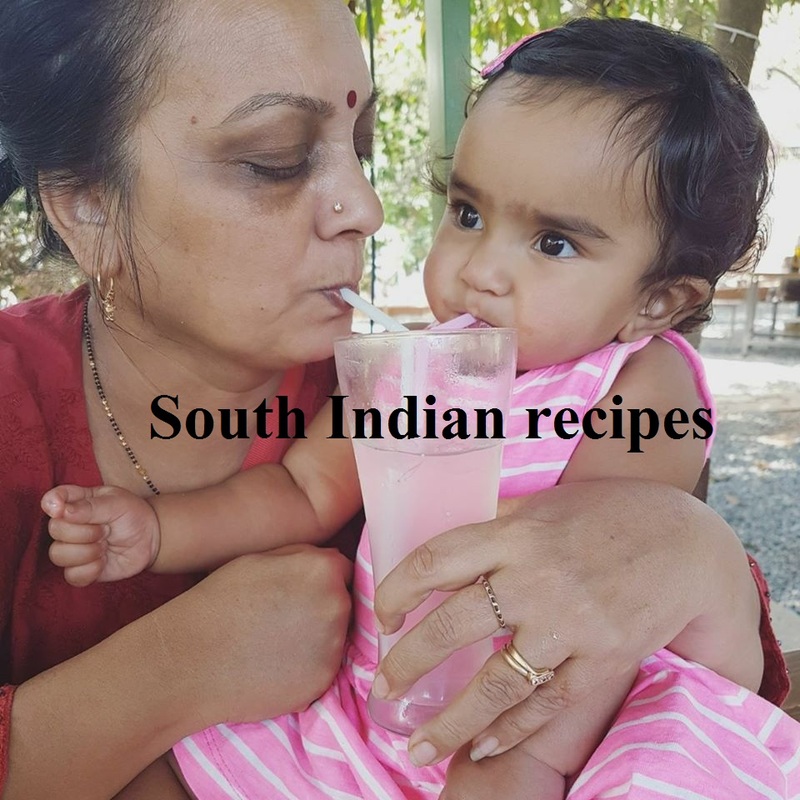 I love her recipes and her south Indian ethnicity. Thank you for stopping by. You have some really wonderful recipes, which are healthy as well. I would love to hear back from you, Poonam. Thanks for stopping by dear.